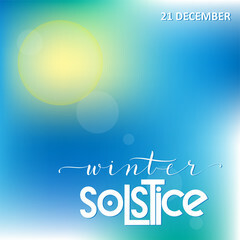 The Winter Solstice, Dec. 21st. The good news is that the days will be getting longer. It is a proven fact that people feel better when there are more daylight hours. And even better on a beautiful sunny day when it doesn’t get dark at 4:00 pm. The sun’s radiance feeds our soul. With fewer daylight hours there can be a sense of disconnection or isolation. So as the days begin to get longer, our energy increases and we tend to feel like reconnecting again. (At least this is what my observation and research has shown.) I’d love to hear your thoughts and feedback about your experience. The holidays can be a very stressful and emotional time and with the approaching full moon in Cancer on December 22nd, you’ll want to keep in mind that things tend to be magnified and blown out of proportion. Since Cancer is ruled by the Moon, lunar influences are strongest and most easily expressed when traveling through this sign. When it is a full moon, it is even more dramatic. It is a time of intense emotions and great sensitivity with people responding to life through emotions rather than reason. During this very vulnerable period, be cautious not to emotionally wound or allow yourself to be wounded. Generally people will be passive, easy-going, sentimental, loving and nurturing. This can also be a time when that which you have been waiting for will come to fruition. The check arrives in the mail. The information is revealed. It is also a time to let go of that which no longer serves you. Let go of those old habits or feelings that are holding you back. Clear out your physical and mental space to allow and make room for the gifts that you will be receiving as you prepare for the New Year. If you were born with your sun or moon in Cancer this can be a very auspicious time for you. Enjoy! Wishing you a very happy, healthy, prosperous and safe holiday season.